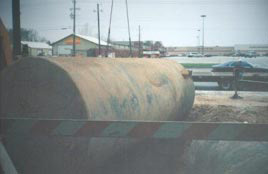 Underground Storage Tank (UST) Services -- HKC & Associates, Inc. Preparing permits for industrial facilities, such as gas stations and body paint shops. 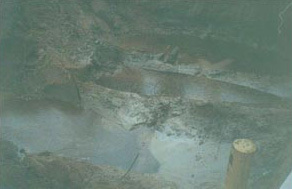 UST being removed from subsurface in compliance with TNRCC Regulations. Contaminated gasoline/diesel found in groundwater after the USTs were removed. Emergency response was initiated and the contaminated water was removed.